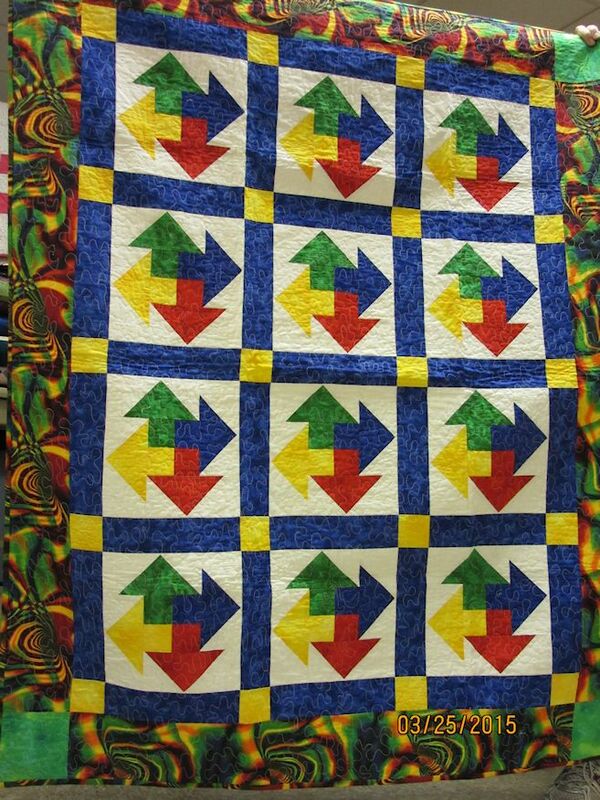 Here are more pictures of quilts made by Barbara Douglas. 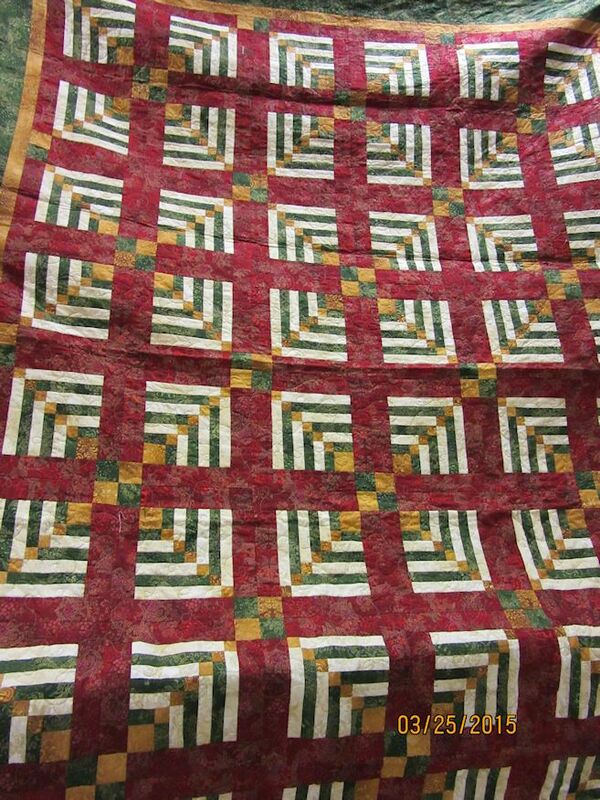 I am not sure of the names of the quilts but if you look on Barbara’s web page for her patterns you can find them listed there. 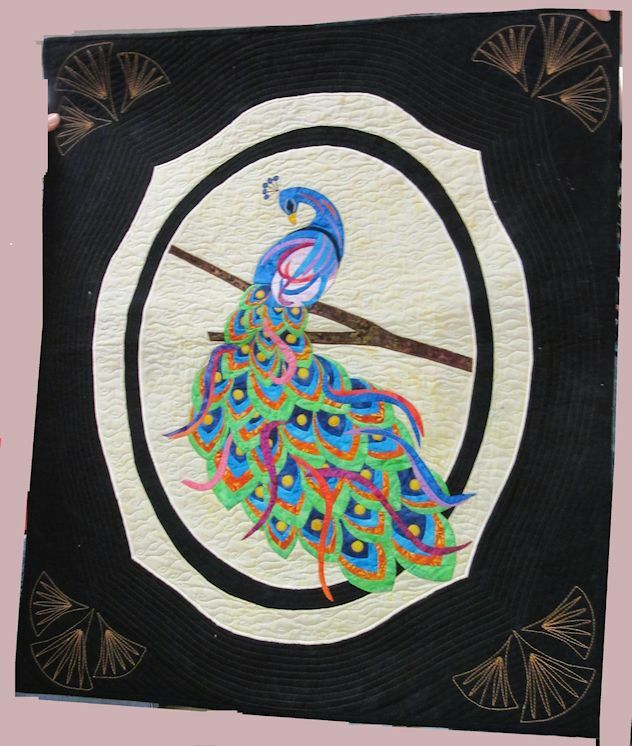 Barbara has classes and patterns for applique (raw edge) and pieced quilts. 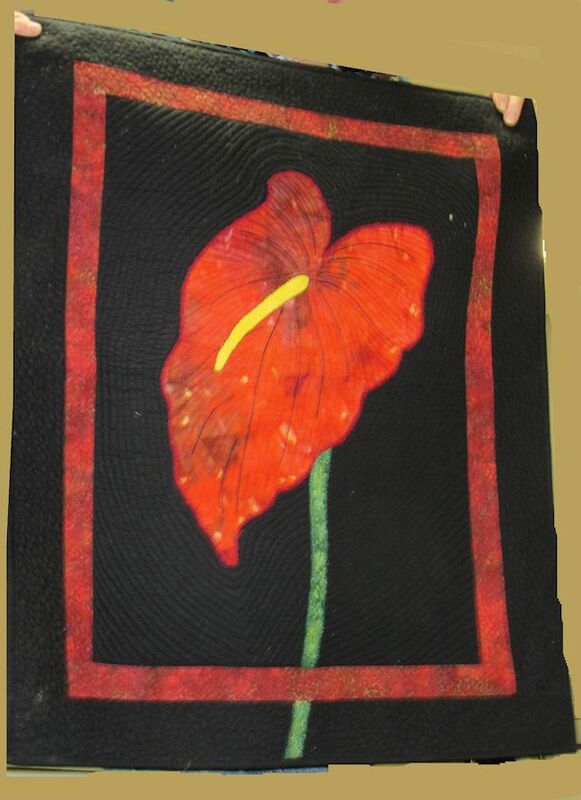 Lately she has been experimenting in art quilts. She loves trying out new techniques, mastering them then teaching those skills to others. I met Barbara Douglas when she came to our guild to give a lecture and trunk show. Barbara is a delightful woman from Midland MI. She started her own design business in 1999 after quitting her job at a big box store. 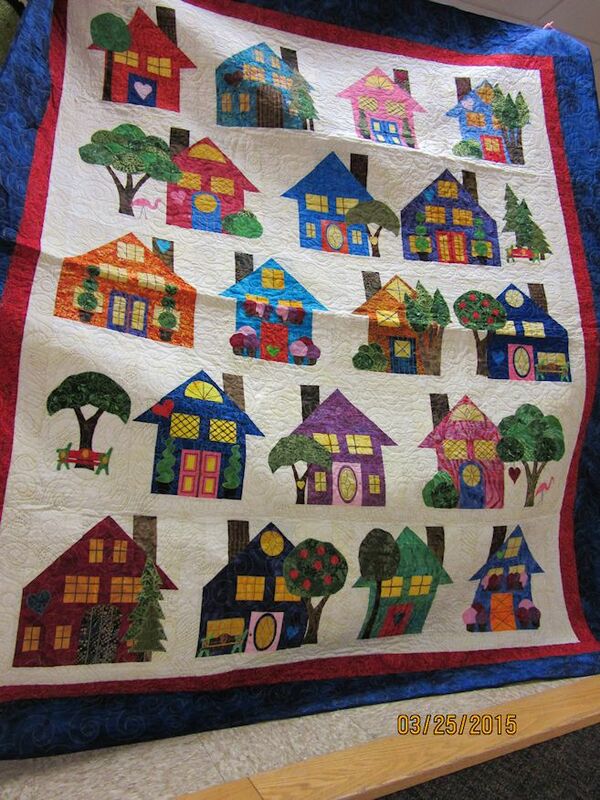 Along with her own design works she writes and designs for QUILT PATTERN MAGAZINE an online quilt magazine. She also has been a consultant for my favorite PRESENCIA threads. Barbara does her own free motion quilting on her domestic machine. She has also taught classes on being creative with threads… but that was a different lecture. Barbara was a delightful and informative speaker with a good sense of humor. 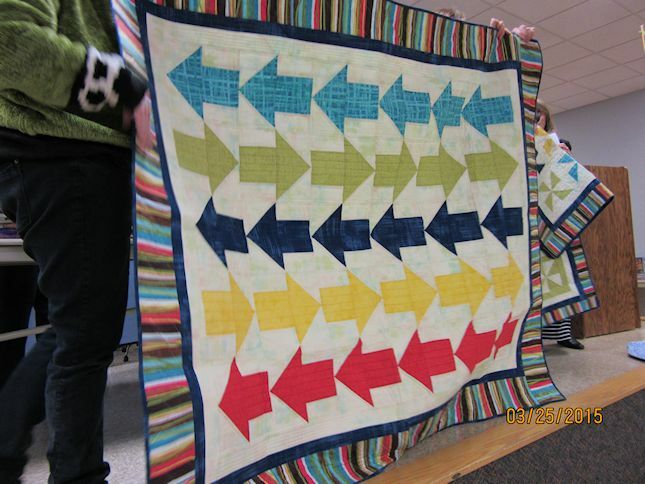 Her trunk show consisted of 30 full size quilts and smaller projects spanning her quilting efforts. 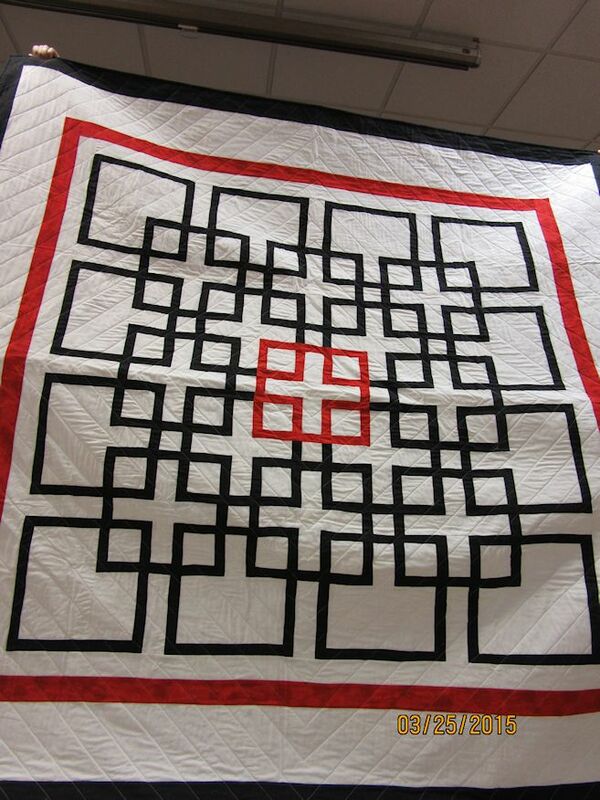 I especially liked the quilts from her book SINGULAR SENSATIONS. 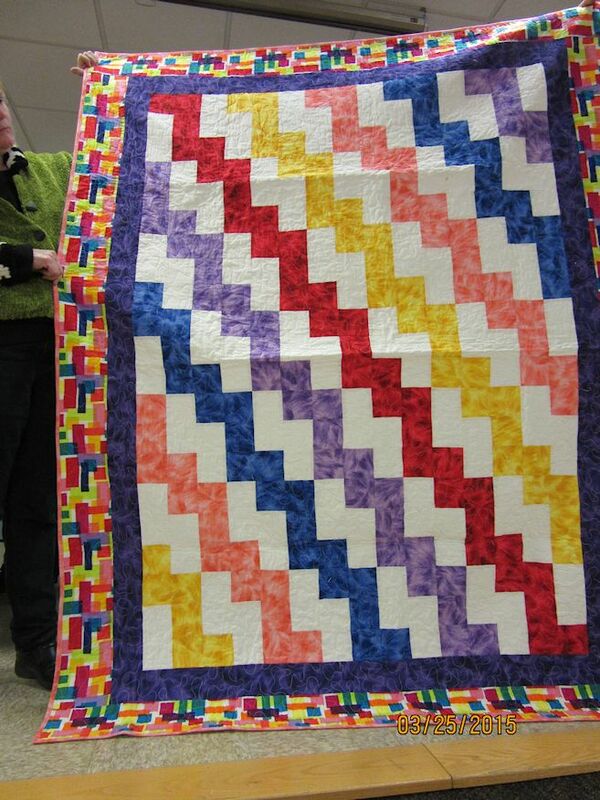 There was only one block used in the block but from that she created 14 different quilts. She demonstrates how by making simple changes in value placement she created movement and produce intricate-looking designs. 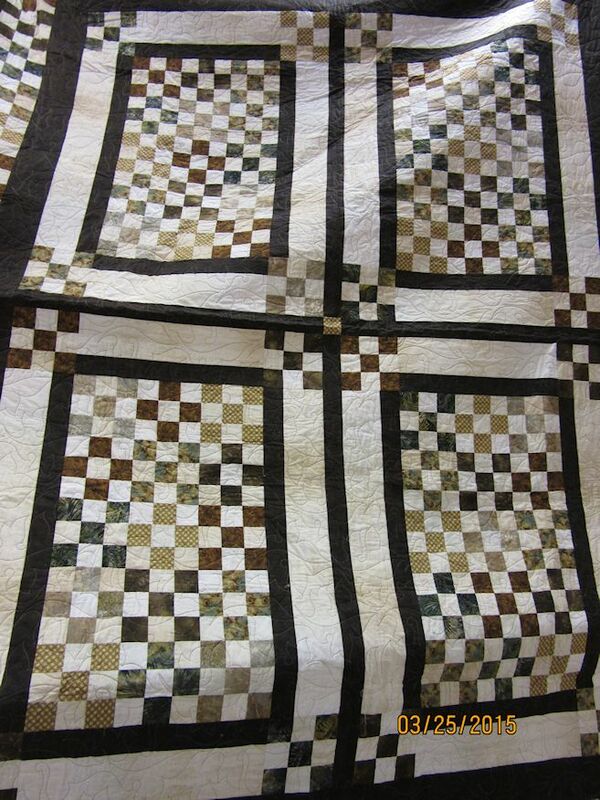 She uses value to make the same simple block construction to change the look of the quilt. She laughingly says you will get tired of making the same blocks but you get excited when you start assembling your blocks into the quilt top. 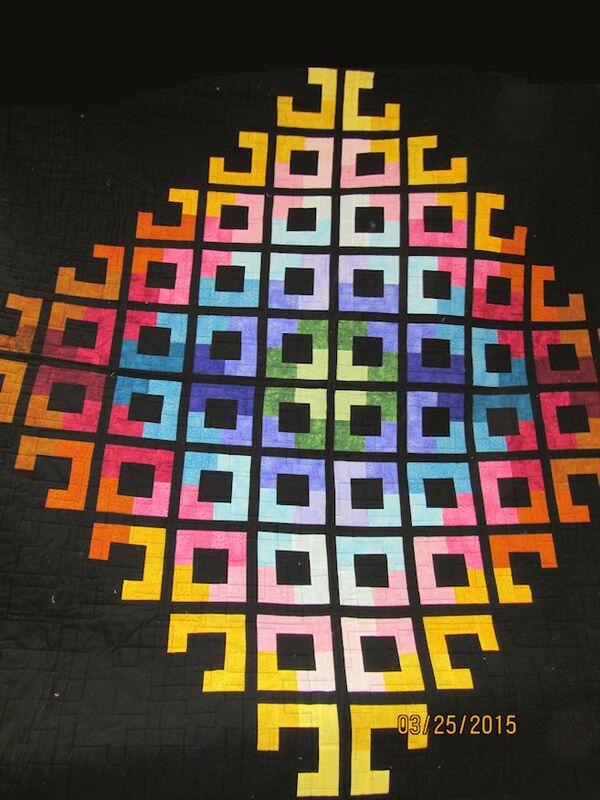 I particularly liked the quilts COLOR PUZZLE and TRELLIS. 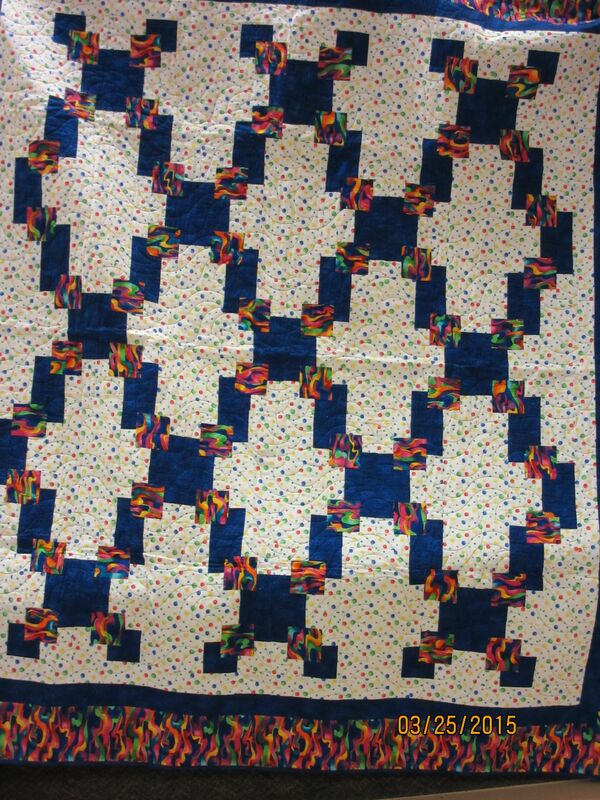 There will be several patterns I can think will be good for future baby quilts. I can highly recommend Barbara as a speaker for any guild. I will be review Barbara’s book on GOODREADS after I have made a project from it.